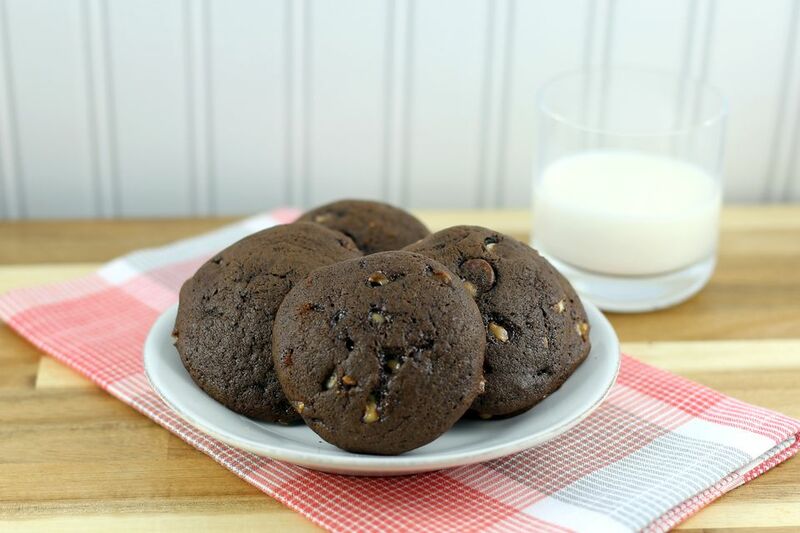 These yummy soft chocolate cookies are made with cocoa, buttermilk, and pecans. Feel free to replace the pecans with chocolate chips, or use a combination of chopped nuts and chocolate chips. Cream shortening and butter with sugar; beat in egg. Stir in the buttermilk and vanilla. Sift dry ingredients together then stir into the first mixture. Chill cookie dough for 1 hour. Drop with a teaspoon onto greased or parchment-lined baking sheet, leaving about 2 inches between cookies. Bake in the preheated oven for about 8 to 10 minutes, or until set. Cool and frost with a simple chocolate or vanilla icing if desired.